There has been some good news on the North Korean situation lately. The U.S. and North Korea have entered into a de facto version of the “freeze-for-freeze” policy that North Korea, China and Russia have all endorsed. This means that the U.S. will freeze joint military exercises with South Korea if North Korea freezes its weapons development programs. That’s not a permanent solution, but it’s a step back from the brink of war. The U.S. resisted the freeze-for-freeze policy because it gave the appearance of North Korea dictating the operational tempo of U.S. military exercises. However, South Korea suggested a temporary suspension in exercises until the completion of the Winter Olympics in South Korea in February (and the Paralympic Games, which run until March). The U.S. was able to agree to this as a humanitarian gesture without losing face. North Korea has so far reciprocated by not testing new bombs or missiles since last November. A hotline between North Korea and South Korea has been reopened, and the two sides are discussing participation of North Korean athletes at the Olympic Games. So far, so good. The problem is that while the short-term news is good, the long-term situation has not changed. North Korea is still determined to build a nuclear deterrent of 20 or more ICBMs with hydrogen bomb warheads. The U.S. has made it clear that they will not tolerate such an arsenal in North Korea. Neither side is willing to compromise on those positions, so we are still on a path to war. The timeline for war may have shifted from March to September, but the dynamic has not changed. 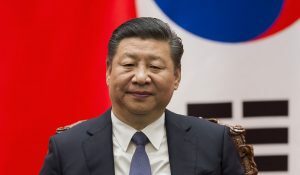 This article also makes it clear that China will not take the steps needed to isolate North Korea and is, in fact, willing to offer further assistance in the area of missile technology. The current thaw in relations between the two Koreas is helpful, but North Korea has a long history of lying and cheating on any agreements reached. The U.S. will not back down on its goal of a nuclear-free Korean peninsula. The world is still on a path to war.